Joya de Cerén is remarkable by virtue of the completeness of the evidence that it provides of everyday life in a Mesoamerican farming community of the 6th century AD, which is without parallel in this cultural region. It was a pre-Hispanic farming community that, like Pompeii and Herculaneum in Italy, was buried under a volcanic eruption about AD 590. Although a warning earthquake apparently gave residents time to flee, the ash preserved their personal belongings, from garden tools and bean-filled pots to sleeping mats and religious items, essentially freezing the agricultural village in time. Because of the exceptional condition of the remains, they provide an insight into the daily lives of the Central American peoples who worked the land at that time. I have visited several archeological/paleontological world heritage sites around the world. While most of them are of great scientific import, they usually make for very poor tourist attractions. The reason why the locations are important is because of artifacts long since dug out of the ground and put in museums. You almost never are able to see one of the actual dig sites and the best you can hope for is to visit a museum. I have visited two sites like this previously: the Sangiran Early Man site in Indonesia and the Ban Chiang site in Thailand. Joya de Ceren is superior to those sites in that you can see the actual buildings which have been excavated. 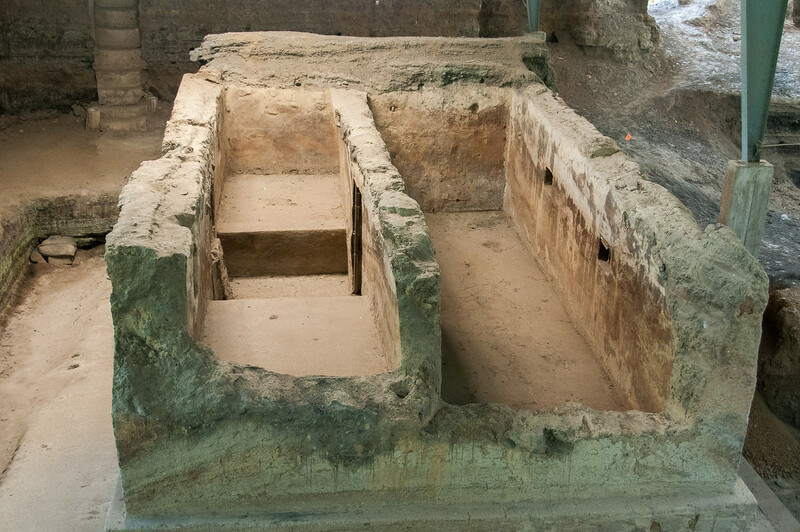 While it is often called the Pompeii of the Americas, don’t visit Joya de Ceren expecting to have the same experience you would see at Pompeii. The site is much smaller (although an estimated 90% hasn’t been excavated yet) and the buildings are much less impressive. Also, all the structures are kept under an awning to protect the structures from the elements. 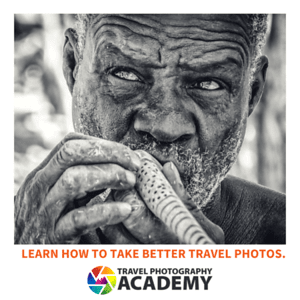 This makes for less than stellar photography. The site can easily be visited as a day trip from San Salvador. It is about an hour drive from the city center. 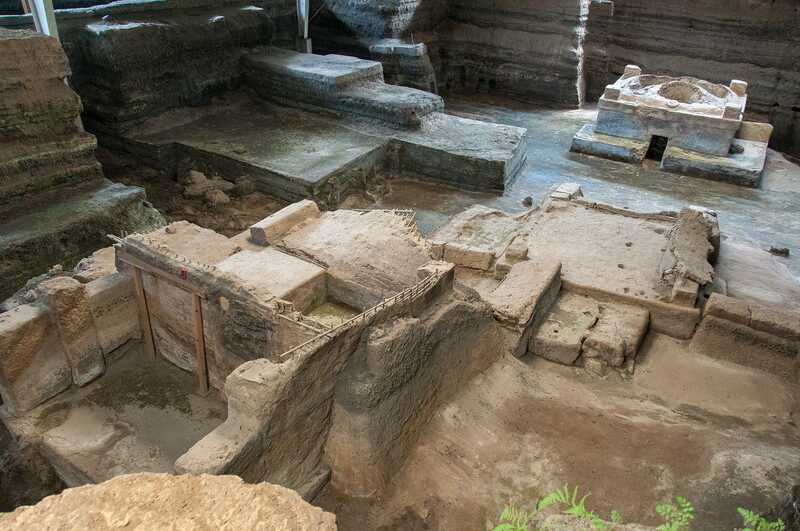 Joya de Ceren is an archaeological site recognized as one of the UNESCO World Heritage Sites in El Salvador. This UNESCO site is focused on preserving the heritage of a pre-Columbian Maya farming village. This village was covered by a volcanic layer of ash and in doing so has remarkably preserved the architectural, archaeological, and agricultural remains in the said village. For this same reason, the site has been easy for researchers to study since it is set in the same way as it did during the time when the village was still inhabited. Due to the nature at which the village was preserved, it has earned the nickname of “Pompeii of the Americas”. This is in reference to the city of Pompeii, wherein the eruption of the volcano and its volcanic ash has preserved the entire village. This cultural site from the Mayan civilization was inscribed into the UNESCO list in 1993. Joya de Ceren is a small farming village that was established during the 1200 BC. It is located on the southeastern edge of the Mayan civilization. During AD 200, the entire village was evacuated with the impending eruption of Ilopango volcano. Since the said eruption, the site was re-populated by AD 400. But this was not to be the last volcanic eruption in the area as another volcano, Loma Caldera, erupted in the year 590. This eruption was so immense that it covered the nearby village of Joya de Ceren in 14 years of volcanic ash. Even though the villagers were able to flee their village in time before the eruption (this was verified by the fact that there were no bodies uncovered at the archaeological site), the village and their houses were buried in ash. Some of the archaeological artifacts that were retrieved at the Joya de Ceren archaeological site included ceramics, furniture, food items, and utensils. The low temperature of the ash and the fast ashfall had both contributed to its amazing state of preservation. About 4 to 8 meters thick of volcanic ash layers covered the entire village in a matter of hours! The site was initially discovered in 1976 when a bulldozer tried to level the ground for a government project. A professor of anthropology from the University of Colorado at Boulder spearheaded the research into the area. The research and explorations at the site were conducted in 1978 and 1980. However, the exploration was momentarily stopped due to civil warfare. 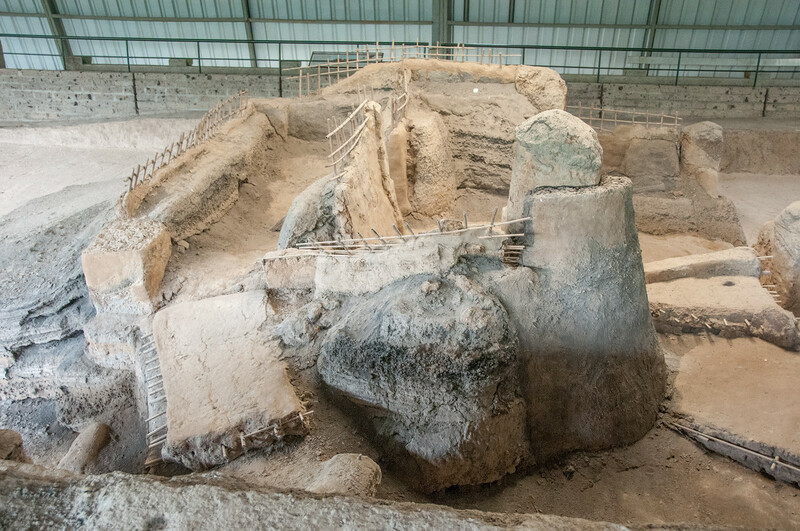 In 1988, the excavation of the site was resumed and has been ongoing since. From this period until today, there are about 70 buildings or structures that were uncovered at the site. Some of these structures include houses, storehouses, workshops, living quarters, communal sauna, and religious structures, etc. Aside from these buildings, the paleoethnobotanical remains at the Joya de Ceren archaeological site are far more important. Just like many of the other remains, the low temperature from the ash also preserved the plant materials in the village. 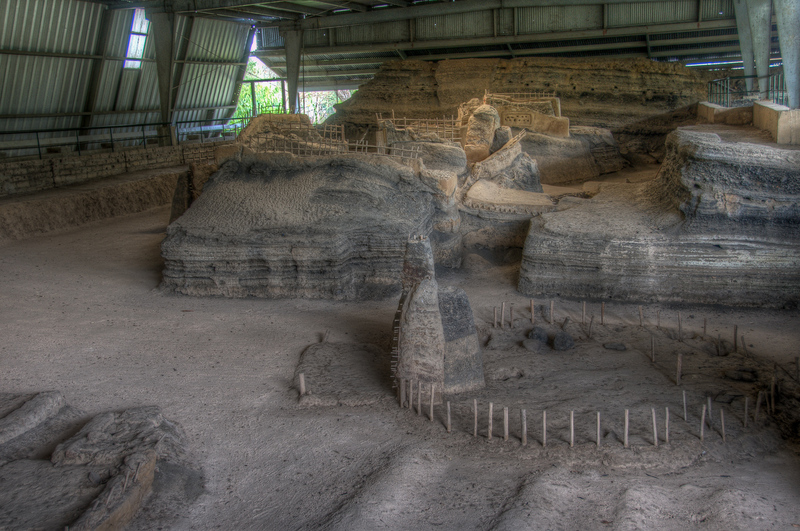 This archaeological site has been crucial to the study of the daily life and settlement in the land during the time period prior to it being preserved by volcanic ash. At the same time, it is also looked at as a cultural symbol in El Salvador and how it showcases human development in the region. View the complete list of UNESCO World Heritage sites in El Salvador.